The genius and creator behind Dragonball, Dragonball Z, and Dragonball GT, Akira Toriyama has helped create over 20 different Anime/Mangas. Here you can find all about who this man is and all about his different anime/mangas. Akira Toriyama wanted to become an artist. He studied art in high school, and by 1977, he got a job at one of the biggest and well known Manga publishers in Japan known as Shueisha. In 1978, he started a Manga called “ Wonder Island”. It wasn’t a big success, but gave him more confidence in his work. His next piece of work was called “Dr. Slump”, which was a huge success. His most famous piece of work however, is the “Dragonball” series, which is also explained on this page. 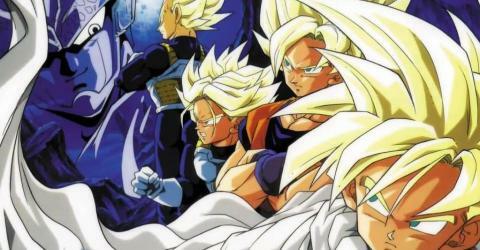 After Dragonaball Z had ended, TOEI Animation asked permission from Toriyama to continue the Dragonball trilogy with a new series called Dragonball GT. This new series aired in Japan from 1996 to 1997, and was no where near as successful. Toriyama was not directly involved with Dragonball GT, but he did supervise the development. As Toriyama’s success grew he decided to open up his own studio know as Bird Studios where he was able to publish many more of his other stories and comics. Akira enjoys other subjects other than Manga. He enjoys being with his family, and rumor has it that he quit Dragonball for that reason. It sucked up too much time from his family. He also enjoys playing video games, and even did the art work for the well known game “Chrono Trigger” for the SNES, as well as other games.